I cannot believe it is July. Half of 2015 has come and gone. So much has happened in those short 6 months, both for my business and my life. Last fall, my husband and I purchased a home that my great grandparents bought in the late 1920s. My daughters are the fifth generation to live here, and I could not be happier to reside somewhere that holds so many wonderful memories from my childhood. That being said, a lot of work comes with an almost 100 year old house. In the past two months we’ve replaced our roof, had major landscaping done, new windows installed, water damage fixed, and my husband is in the midst of building a beautiful wooden fence around our yard every night when he gets home from work. That, along with raising our two daughters, running a full-time business, and remembering that I haven’t had a date night since somewhere around mid-April, sometimes can be a bit… overwhelming. I feel incredibly blessed for all that I have. I am so thankful for all of the hard work and dedication my husband and I have put into this year thus far. 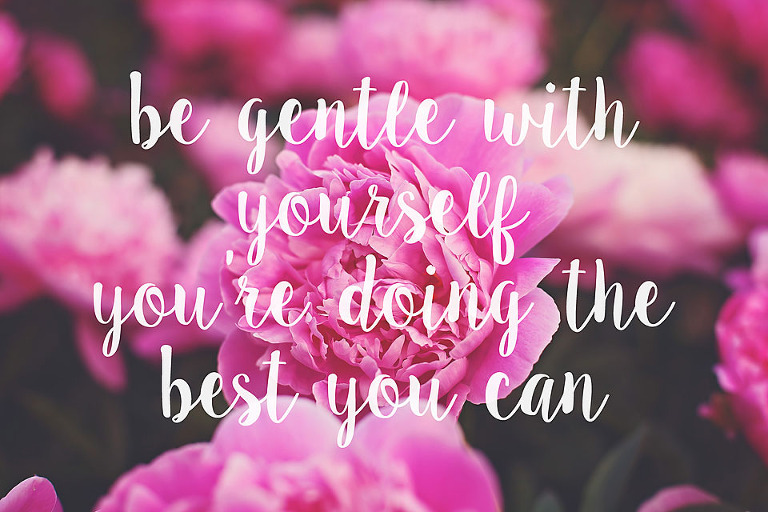 But on those days that are a little more tiring than the rest, this is a beautiful reminder to be gentle with myself. And you should be too.